Over the past couple of months, I have been trying to learn how to play guitar. 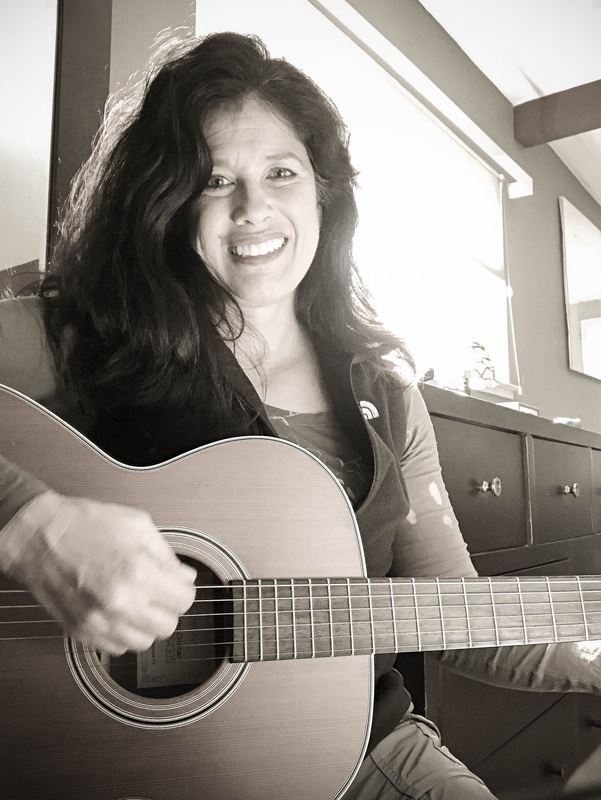 Cortnee, my guitar teacher, is a friend and fellow yoga practitioner. So when I first complained about how difficult it was for me to get my fingers into the positions required for each of the chords I was to learn, she told me that I should view the attempts as a yoga-like practice for my fingers. Later that week, I watched the episode of Friends where Phoebe teaches Joey to play guitar in a most unconventional way. I was most grateful that my teacher’s style of teaching guitar is very different. If you haven’t seen the episode in a while, THIS is what I’m talking about. Ever since Cortnee’s initial juxtaposition of guitar and yoga, my mind has automatically found similarities in many of the teachings she has given me. Take chord changes: Initially she taught be to place down one finger and then place the subsequent fingers. Once I got that down, she advised me to try to make the chord shape in the air and place all of my fingers on the strings at the same time. She said that although it would be more difficult to do it in this way, once I mastered the change, I would be better able to keep up with the count. To this end, she insisted that it was of utmost importance to keep the set count throughout the song. I should slow down the count if I am unable to keep up the speed throughout the entire song being played. She also insisted that I should practice with a metronome as much as possible. I thought about my ashtanga yoga practice and quickly drew parallels to the lessons. The chords are like the asanas. Initially, the yogi might need to breakdown getting in and out of the poses, but the ultimate goal would be to come out of the vinyasa and straight into the asana shape. Of course that is easier to do with simple poses like dandasana but not so easy with poses like marichyasana D. The vinyasas are the chord changes. And the count is… well… the count is the count. Keeping up with the count, while playing with a metronome is like the attending the weekly led practice. You might fall behind, or get ahead, but the discipline of keeping up with the pace the teacher calls helps you to stay focused. Ultimately, it helps you turn your daily mysore practice into more of the meditation that it is designed to be. Whether it is yoga or guitar, it doesn’t come easy. But it’s definitely worth the effort if only for its meditative benefits.